Sometimes, we are blessed to have auspicious conditions that bring inspiring teachers into our lives. Perhaps it was a book that they wrote or said at a lecture, retreat or on-line video. Perhaps a chance meeting brought you together. Whatever it was, a seed was sown that changed your life for the better. For this reason, these teachers are precious. A selfie with Bhante at Adhisthana on 7 April 2018, celebrating 50 years of the Triratna Buddhist Order. Yesterday I was fortunate to meet (for the second time since 2012) a teacher who has deeply inspired me and many of my friends in our commitment to practicing meditation: Urgyen Sangharakshita (aka Bhante). This weekend I was at Adhisthana, a retreat centre in Herefordshire. It was for a short weekend retreat to celebrate 50 years of the Friends of the Western Buddhist Order, now the Triratna (“Three Jewels”) Buddhist Order and Community. About 50 or so people were present for the event. We were celebrating what happened fifty years ago when Bhante started a chain reaction of ever increasing friendships of those inspired by his teachings. For 20 years Bhante had lived in India, where he was ordained and studied with a range of Buddhist teachers. Inspired by all major aspects of Buddhism, he has since written and lectured prolifically both in the West and the East. In the light of modern scholarship and his own spiritual experience, he has brought out and emphasised the core teachings that underlie and unify the Buddhist tradition as a whole. His teachings clarify the essentials and outline ways of practice that are spiritually alive and relevant to the 21st century. In 1997 I first went to the London Buddhist Centre, one of the Triratna centres and where Bhante once lived. Since January 2009, I started going regularly. I really appreciate what I have learned since then, the friendships that I have developed and the love, joy and light that has been a deep inspiration, including for the research into mindfulness, becoming a mindfulness teacher and also, more recently, becoming one of the support yoga teachers at the LBC. This entry was posted in mindfulness and tagged adhistana retreat centre, buddhism, dharma, london buddhist centre, sangharakshita, Triratna on Apr 8, 2018 by Holistic Education. During July this year, I was priviledged to be at the “Wisdom of the Awakening Heart” Retreat at Taraloka. It was led by Vijayamala and Maitrivajri, two ordained Buddhists from the Triratna Buddhist Community. I realise that it is beneficial to attend retreats regularly to develop my own practice of mindfulness and meditation. In the past, I had attended classes by a range of teachers. I noticed that I found Maitrivajri’s style of teaching meditation to resonate with me and for that reason I chose this particular retreat. 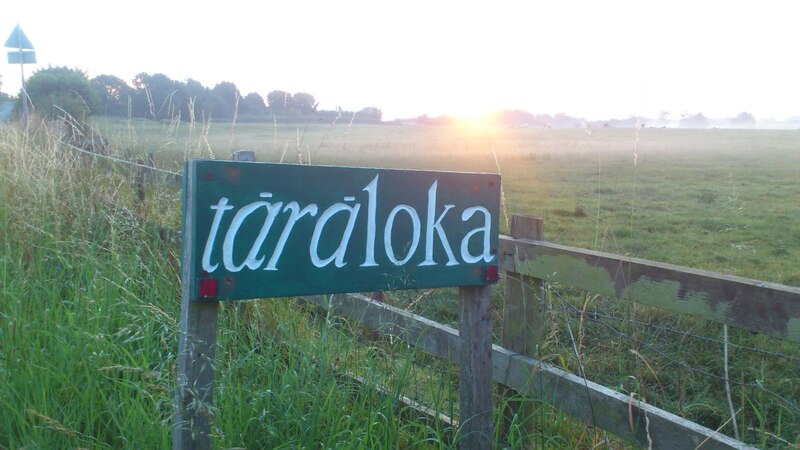 Taraloka is a beautiful retreat centre in Shropshire, run by members of the Triratna Buddhist Community. The retreat ran for seven days and each day involved several hours of meditation, starting at 7am with a 90 minute session before breakfast. After breakfast there was a talk and another 90 minute session before lunch. In the afternoon, there was a third practice before supper and a final one before bed time. So each day, apart for helping out in varioius community related activites (such as helping to make a meal or with tidying up), there was ample opportunity to develop meditation experience. The retreat was also held in silence, from the second day to the second last day, allowing five days of no speaking (or speaking limited to essential moments) except during the two 10 minute meditation reviews, which for me, were on the third and 5th days of the retreat. I also enjoyed running each day and doing some yoga, and altogether this helped deepen the experience of being. The meditation practices and talks were on an aspect of Buddhism called the “Mandala of the Five Prajnas”. The Prajnas (or ‘wisdoms’) are qualities that are beyond words and which need to be experienced to be understood, as they exist in the awareness we bring to our experiences. One ‘wisdom’ was in perceiving things as they are, thereby coming into relationship with our experiences in an authentic way. Another was in awareness of our shared humanity. The third wisdom was in noticing, accepting and rejoicing in our uniqueness and individuality. The fourth was in cultivating freedom and spontaneity in awareness. The fifth was in deepening awareness into something beyond words, the infinite and boundless present. Overall the retreat was a much appreciated as a opportunity to cultivate insightful and deeper aspects of awareness. I hope that in reading this, you may feel inspired to explore the Mandala of the Five Prajnas. For more information, please get in contact. 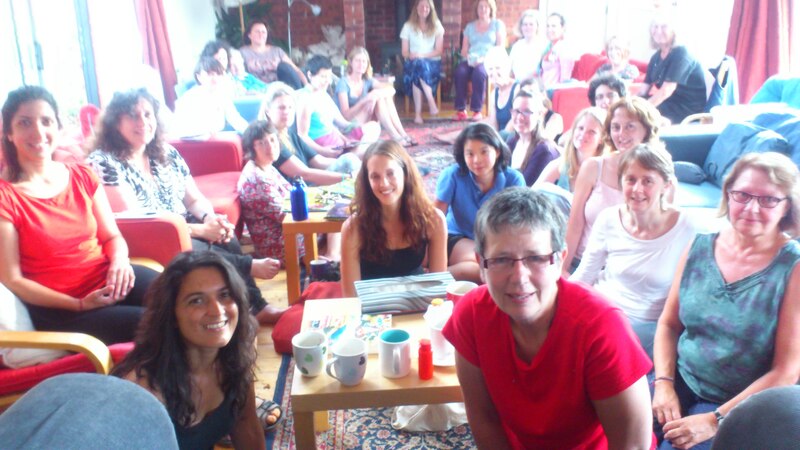 Here I am (see bottom left of the picture) with almost all the other participants at the Wisdom of the Awakening Heart retreat at Taraloka. It was an inspiring event that helped to deepen my meditation practice. This entry was posted in Uncategorized and tagged buddhism, Carelse, Holeducation, holistic, Maitrivajri, meditation, mindfulness, retreat, Taraloka, Triratna, Vijayamala on Jul 26, 2014 by Holistic Education.